Swimming Pool Supplies NJ: Is Chlorine Your Only Option? Most of us are familiar with the sharp smell of a pool. That smell is the chlorine that’s used to clean and disinfect the water. On the whole, it’s a good smell; it means the pool is being maintained and should be safe to use. However, chlorine isn’t for everyone. Some people may experience allergies to it or just object to the presence of a large amount of chemicals in their swimming water. For whatever reason, if you aren’t in favor of using chlorine in your pool, you have another terrific option: salt water. 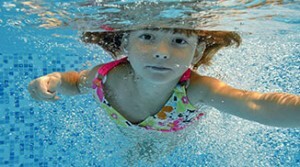 We offer all of the salt water swimming pool supplies you’ll need in our NJ store. It’s easier on your eyes and skin. Those sensitive to chlorine will appreciate this! Pools treated with salt often require less maintenance than chlorine-treated pools. You don’t have to handle or transport dangerous chemicals! Additionally, some people simply prefer the feel of a salt-treated pool. The water is softer than chlorine-treated water, and most people can feel a significant difference between the two. The trick to maintaining a salt water pool easily is to work with a product line that does most of the work for you. We carry BioGuard® SaltScapes in our swimming pool supplies store in NJ. We’ve found these products to be extremely reliable and easy to use. They even have testing strips to help identify what your pools needs and all of the salt-based products you’ll need to keep your pool looking sparklingly clean. Interested in switching your pool over to a salt system? Talk to our team! We’ll get you set up with the products and information that you need to make it a smooth transition. Fill out the form below to get in touch with us today for a free quote on switching to a salt water system!